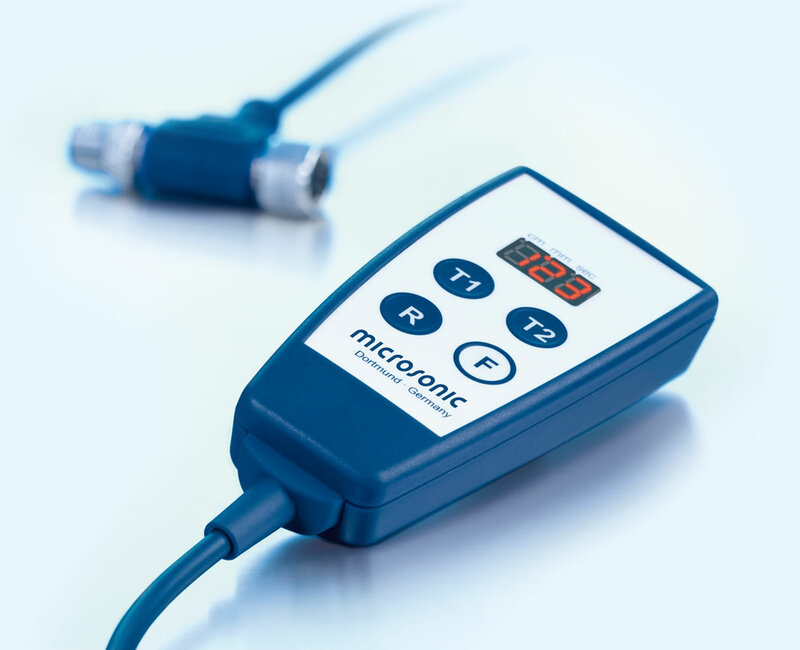 is equipped with a USB interface for connection to a PC or laptop. 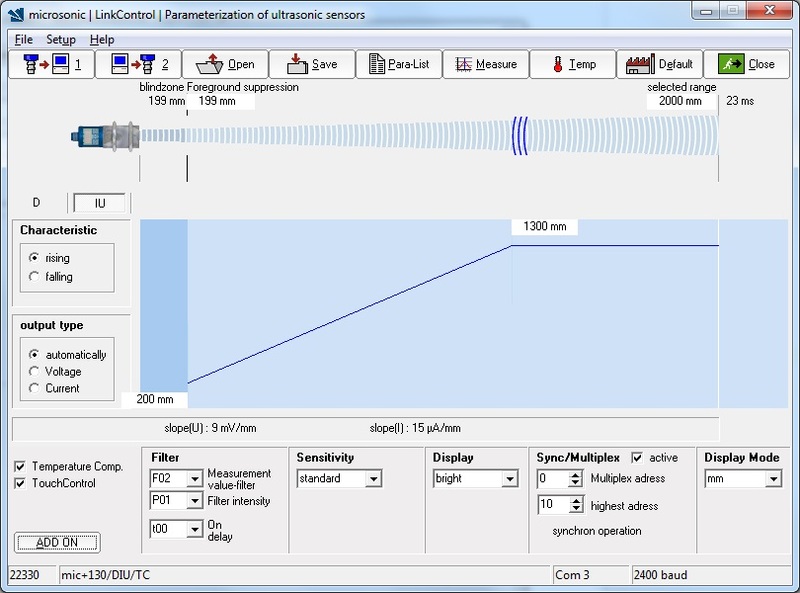 the ultrasonic sensors of the mic+, mic, pico+, lpc, lcs+, lcs, ucs, pico+TF, crm+, hps+, pms, bks+, bks, dbk+, esp and esf series can be parameterised under Windows®. 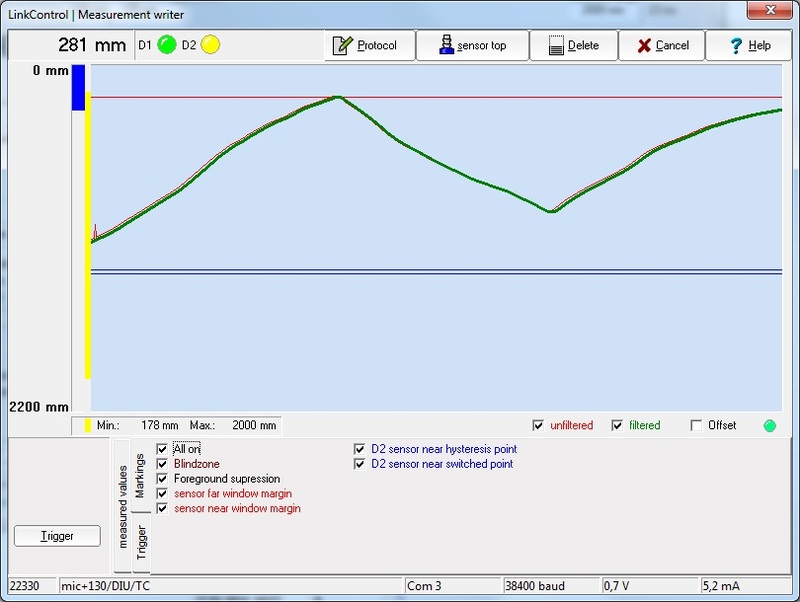 of the ultrasonic sensors can be graphically visualised in the LinkControl software in the form of three different output graphics. 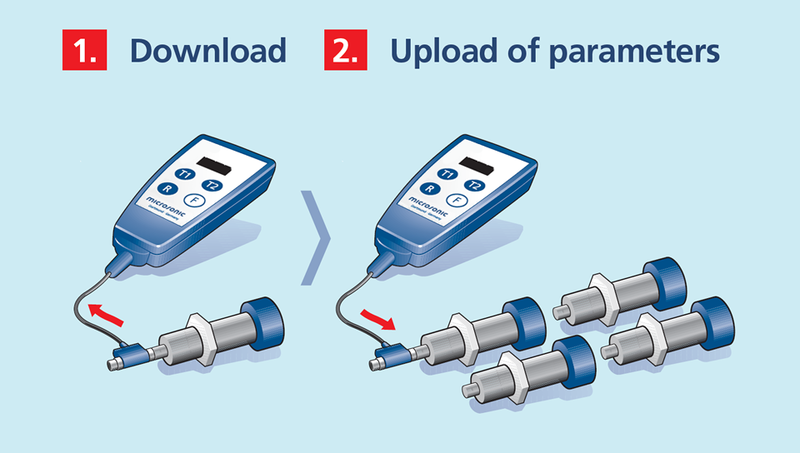 allows the download of parameters from the sensor to the LCA-2 and the subsequent upload of these parameters to a different sensor. This way, sensor settings can be conveniently copied from one sensor to the other. With some sensor series, the sensor settings copied to the LCA-2 can be directly indicated and edited via the digital display before being written back into a sensor. For the LinkCopy function, the LinkControl adapter need not be connected to a PC. The LCA-2 reads the parameters out of the sensor and saves them internally to its EEPROM. 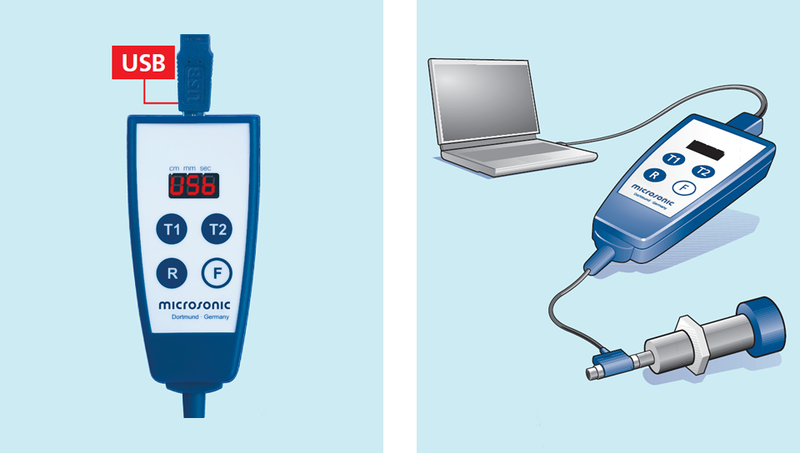 The data are thus safely stored in the LinkControl adapter even after supply voltage disconnection and can consequently also be used as a sensor setting archive. all ultrasonic sensors which are taught via pin 5 at the sensor plug (mic, pico+, lpc, lcs, esf) can be comfortably set. The Link-Control adapter LCA-2 is looped in between the sensor connection line and the sensor; a PC or laptop is not required. During the teach-in process via buttons T1 and T2, the length of the button stroke is indicated in seconds on the display. Which sensor families support LinkControl and LinkCopy? This version supplies our new sensors: pms, pico+, pico+TF, lcs+, dbk+, esp-4, esf-1 und bks+. For an update we recommend to delete the existing LinkControl software under Windows beforehand.